Avionics has gone with a 1930s minimalist design that includes sweeping lines and an extremely low profile. 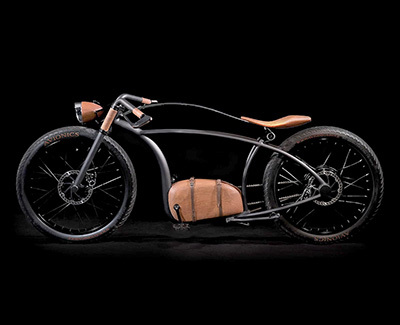 The company then took the aesthetic one step further by building the V1’s brake levers, fork covers, seat, motor case, and other elements from Jatoba wood. The bike is outfitted with a 5000-watt, brushless electric motor that is capable of achieving pedal-assisted speeds of up to 36 miles per hour. That drive system is powered by a 24 Ah lithium-ion battery, which gives it a range of up to 75 miles and a recharge time of under three hours. The V1 is equipped with 203-millimeter disc brakes and 26-inch tires on both the front and a chrome-plated headlamp capable of putting out as much 1,000 lumens of light. A bank of 18 COB LEDs serves as the bike’s tail light. At the moment, it is unclear what the price and release date for the Avionics V1 will be. The company says we can expect pre-orders to begin in September when an Indiegogo campaign is expected to launch. Early-bird adopters are promised a 40 percent discount when that happens. This film shows a 64 square meter office unit that opens and closes in 10 minutes using a hand-held battery-powered drill. Everything you see in the unit at the end of the film was already inside it at the start. Zilla Slab is Mozilla’s core typeface, used for the Mozilla wordmark, headlines and throughout their designs. A contemporary slab serif, based on Typotheque’s Tesla, it is constructed with smooth curves and true italics, which gives text an unexpectedly sophisticated industrial look and a friendly approachability in all 6 weights. 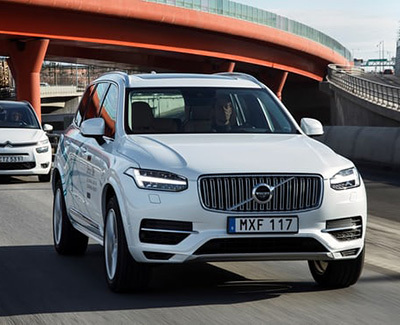 Between 2019 and 2021, the firm will introduce five 100% electric models, and ensure the rest of its conventional petrol and diesel range has a hybrid engine of some form.